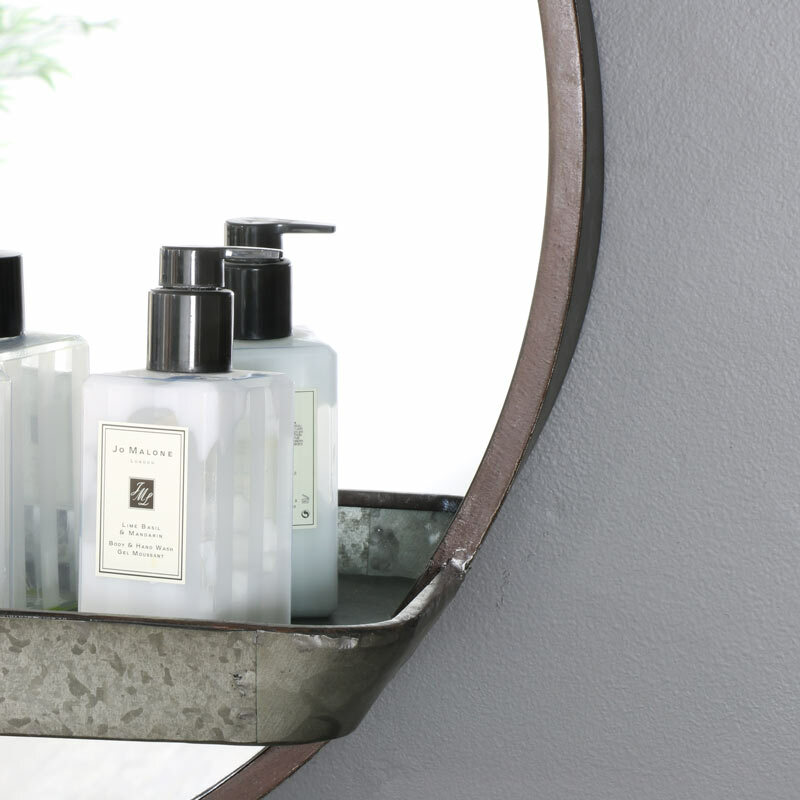 Our rustic, round mirror with its metal trough style shelf offers a great storage solution suitable for your bathroom, bedroom or even your living room. 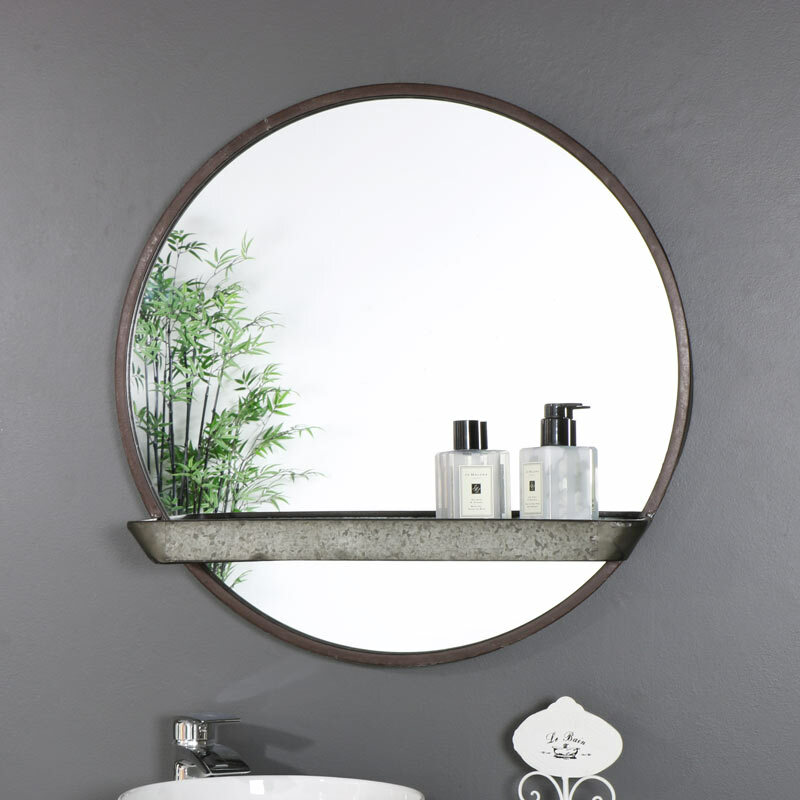 This wall mounted mirror will benefit being showcased in an industrial interior making a great focal point. The shelf is great for storing your lotions and potions but also for setting up an array of candles or trinkets in your hall way or living room. 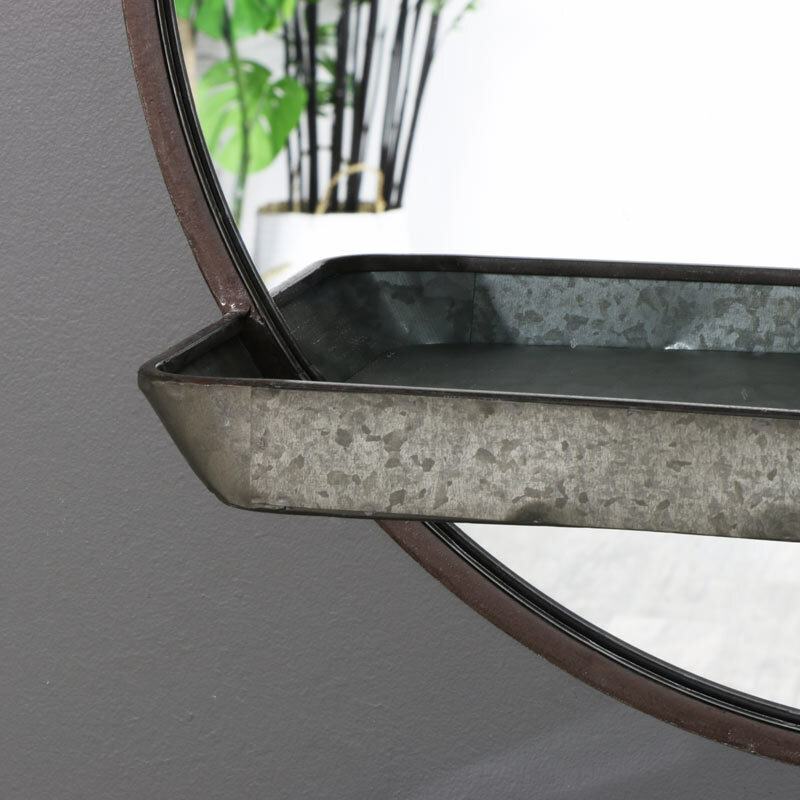 Grey rustic metal frame with trough style shelf. Easily wall mounted with 2 holes on the back for hanging on wall hooks (not included).